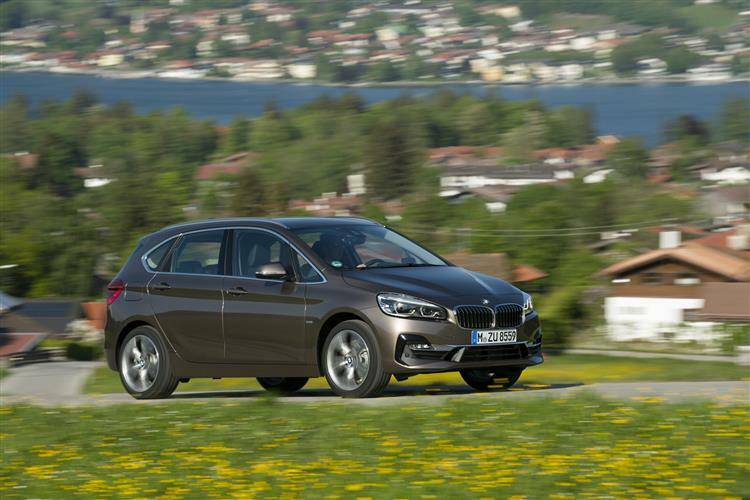 BMW's 2 Series Active Tourer is a front-wheel drive BMW that takes the brand into new MPV territory. Jonathan Crouch drives the popular 218d diesel version. 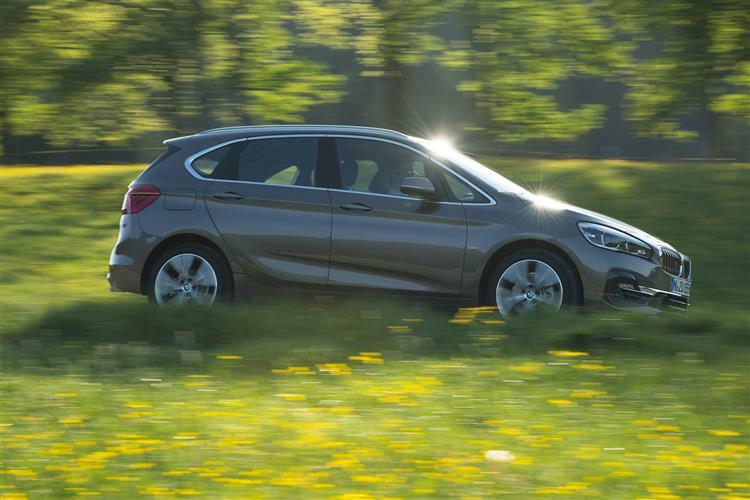 BMW is reaching into the mainstream with this 2 Series Active Tourer, a reasonably spacious and quite affordable family five-seater. MINI underpinnings saw this unveiled as the brand's first front driven model and in this revised form, it's certainly a classier, more interesting alternative to a conventional Scenic-style compact MPV. Most will want the volume 218d diesel version. That's what's on test here. Front wheel drive and BMW. It's not often you see those words in the same sentence. Equally unusual is the idea of any kind of BMW MPV. We're here though, to look at a car that brings all of these things together, the Munich maker's 2 Series Active Tourer. This model's closest market rival, the Mercedes B-Class, is the nearest thing we've had to something of that kind in this segment, but that car isn't especially dynamic, either in the way it looks or the way it drives. To be frank, it's aimed at a more mature audience. What the market needed was the same sort of thing but with sharper looks and handling. Maybe even a bit of cleverer packaging too. That's what BMW has tried to deliver here. And tried to achieve for the first time without its traditional unique selling point when it comes to driving dynamics: rear wheel drive. The Bavarians once said they'd never abandon that, but the space-efficient front-driven platform and engine package developed for the third generation new MINI proved too tempting a package not to install in something bearing the BMW badge. 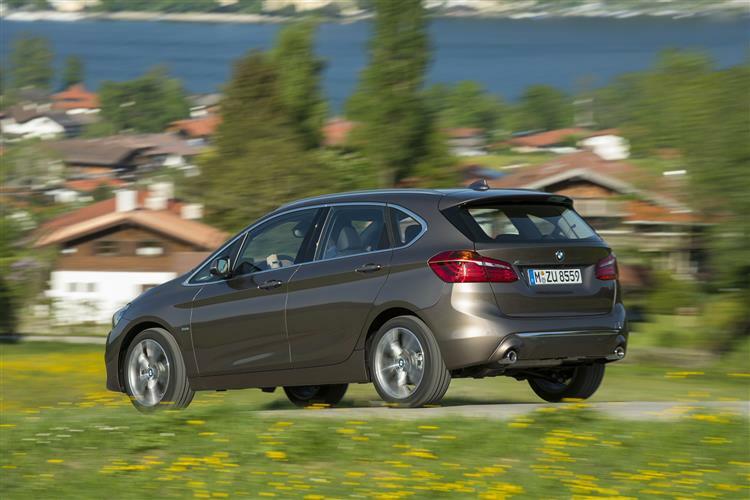 So, does it work in this smartly-styled Active Tourer model? Does it feel like a real BMW? And would you want one if it did? That's what we're here to find out. The variant we tried, the 218d diesel, will probably account for the majority of sales of this car. Under the bonnet here, there's a conventional four cylinder powerplant offering 150bhp and pokey performance, with 62mph just 9.0s away en route to 130mph. This isn't the most refined small diesel I've ever driven either at lower speeds or at tickover, but at a cruise it settles down into a very acceptable cruising thrum. To be honest, I can't really see why you might want to go much faster in this car, but should that be your desire, then BMW will wheel out a 190bhp 220d variant. Here, there's the option of BMW's xDrive 4WD system, a set-up that really comes into its own in the winter months, distributing as it can almost 100 per cent of power to either axle - or a mix between both front and rear. Either way, the car will be kept firmly planted through the tightest bends in the foulest weather. The extra xDrive traction aids performance too, the 0-62mph sprint time improving from the 7.6s showing you get in the 2WD 220d model to 7.5s. An 8-speed automatic gearbox is optional. 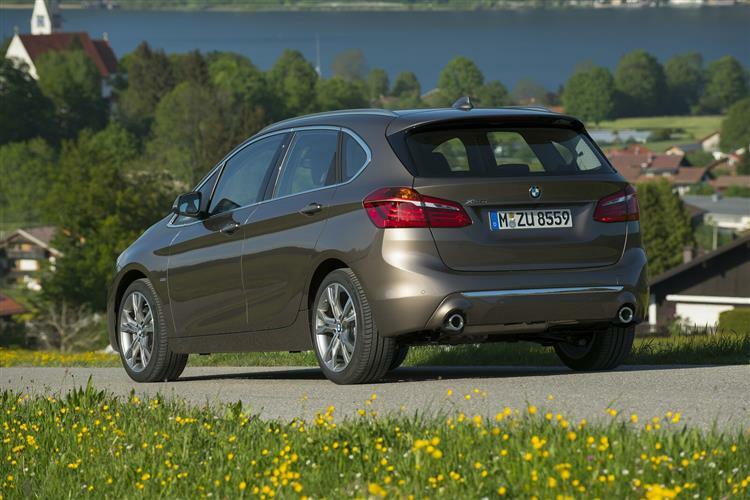 Expect to pay saround £27,000 for your 2 Series Active Tourer in 218d guise, depending on the spec and model you choose. To put that figure into perspective within the BMW line-up, it sees this car pitched at a premium of around £1,800 over the company's five-door 1 Series model - which seems fair enough given that this Active Tourer is better equipped and about 30% larger inside. Big enough in fact to offer almost exactly the same levels of cabin cargo space you'd get from the kind of BMW 3 Series Touring model that could easily cost you £4,000 to £5,000 more. If safety's a priority, you'll want to look at the optional 'Driving Assistant Plus' package. This includes 'Active Cruise Control' and a 'Traffic Jam Assistant' that, in heavy traffic, is able to control the car's speed, steer automatically and keep it in its lane. Also available is Lane Departure Warning and the City Braking function, which applies the brakes automatically at speeds up to 37mph in response to an imminent collision with a car, motorcycle or pedestrian, for instance. The Parking Assistant takes care of manoeuvring into parking spots that are either parallel or perpendicular to the road, while its ultrasonic sensors also help to search for suitable spaces up to a speed of 22mph. Where this 2 Series Active Tourer model's MINI roots really ought to pay off is when it comes to the issue of efficient running costs. Slippery aerodynamics help here - the sleek 0.26Cd drag factor is best-in-class. So does lightweight design: the bonnet, for example, is made of aluminium and weighs just 8kgs, about 50% less than a conventionally produced component. As usual with BMW though, most of the efficiency gains are down to the brand's clever Efficient Dynamics technology. The elements of this are copied by just about every other manufacturer in this segment but the way the Munich maker has put them all together really seems to have hit the efficiency sweet spot. And the results of all this effort? 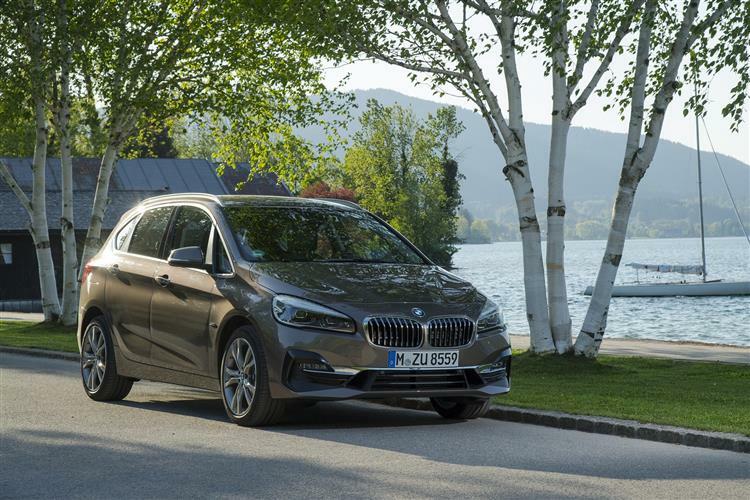 Well they're not quite enough to enable mainstream 2 Series Active Tourer models to out-shine the running cost returns of potentially comparable models like Audi's A3 Sportback and Volkswagen's Golf SV - but this BMW is able to get very close. The manual gearbox 150bhp 218d variant will return 62.8mpg on the combined cycle while emitting 119g/km of CO2. Nor is there too much of a penalty for choosing an automatic version, thanks to a 'coasting' function that disconnects the engine at a cruise. The other mainstream diesel option is the 116bhp 216d variant, which manages 65.7mpg and 113g/km. 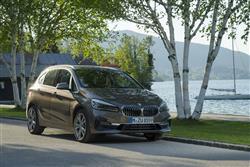 Did you ever expect to see a BMW model range built around front wheel drive with an MPV bodyshape offering the option of a three cylinder engine? I'm not sure I ever did. But then I wasn't really ready for an electrified BMW supercar either and we've got one of those. 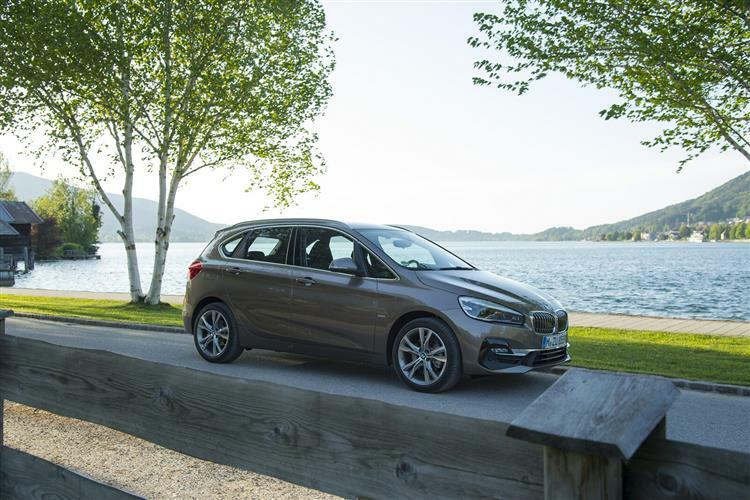 So this Bavarian brand is evolving - and so must the Scenic and C-MAX-style five-seat compact MPV segment in which this 2 Series Active Tourer competes. After all, even MPV buyers now realise that style and driving dynamics aren't incompatible with family versatility. Cars like this one are driving that change. 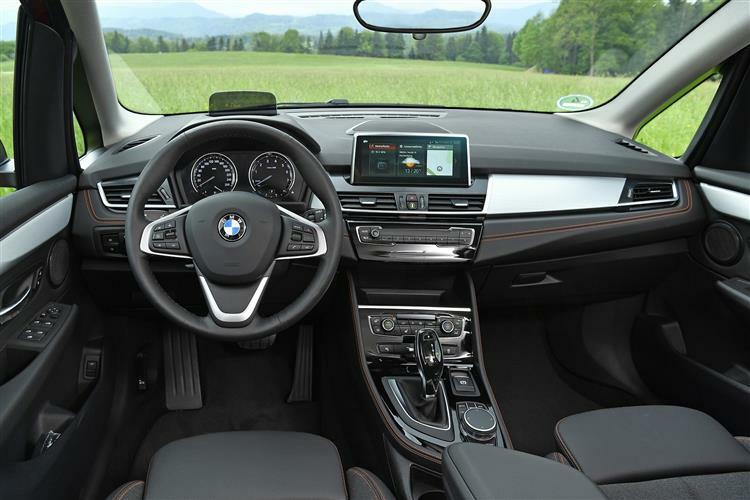 Of course the front-driven layout gives it a less driver-orientated feel than you'd find in other BMW models. The brand's traditional buyers may not like that, so it's just as well that this car isn't aimed at them. No, you'll be interested in a 2 Series Active Tourer if your need for practicality is greater than your need for a BMW. But you'd still rather like one. If that makes sense to you, then this car will too. Its closest rival, the Mercedes B-Class, doesn't have the same kind of spark and the only other alternative is a much frumpier more conventional mainstream brand MPV. All of which means that BMW's appealing spin on ordinary family motoring will probably continue to attract a ready audience. People who probably never thought they'd be buying from this Munich maker. They won't be getting 'the ultimate driving machine' because that's not what they need. Getting instead what may very well be 'the ultimate small people carrier' will suit them very well indeed.